Cuba is an ideal vacation destination choice for families who yearn for amazing adventures together. Traveling to Cuba feels more like “time travel” than a typical travel experience. It’s where you find strangers to greet you with a warm “Hola!”. It’s a place where families feel safe and welcomed. Vintage cars drive gritty streets lined with breathtaking ornate Spanish colonial buildings that harken back to a previous era of glory. Hike or horseback through the rolling hills of Viñales covered with organic coffee and tobacco farms. From UNESCO World Heritage Sites, the music, the food to stunning white sand beaches with teaming reefs, the family adventures waiting for you in Cuba are endless. The only question is, how much adventure is ideal for your family? For intrepid families looking for a truly immersive vacation, then this is by far they style of vacation we would recommend. Cuba is just a short flight from the east coast of the U.S. with routes offered by many of the major airlines. Accommodations can range from high end luxury to very basic. While Cuba is very welcoming to families with children of all ages, parents need to have the right expectations. You won’t find Starbucks or McDonalds here. You probably won’t find your child’s favorite snacks or breakfast cereal. There are no car seats. Even if you bring your own from home, cars here most likely won’t have seat belts. Cell service is spotty or none existent. Credit and debit cards don’t work in Cuba so you’ll need to bring cash. Contrary to what you might think, family vacations to Cuba not “illegal” for Americans, there’s just a few more steps to the planning process. Unlike our Canadian neighbors, we simply cannot head to an all inclusive for the week and sip mojitos…American families need to travel to Cuba as a “group”. By definition, a family is already considered “group”. Vacationkids can arrange private groups for either immediate or extended family groups with a starting price of around $2500 per person plus flights. This option would be highly recommended for families with early school age children and younger. A private tour like this would be an inclusive package with meals, gratuities, activities and would meet all legal requirements. Most importantly, we can customize your activities, meals and accommodations to suit your family’s specific interests, lifestyle and tastes. Simply by inviting extended family or a few friends to join you discounts would apply. Families with older tweens and teens could qualify for group departures that would offer lower pricing. These groups tend to be larger and would not cater to individualized experiences. 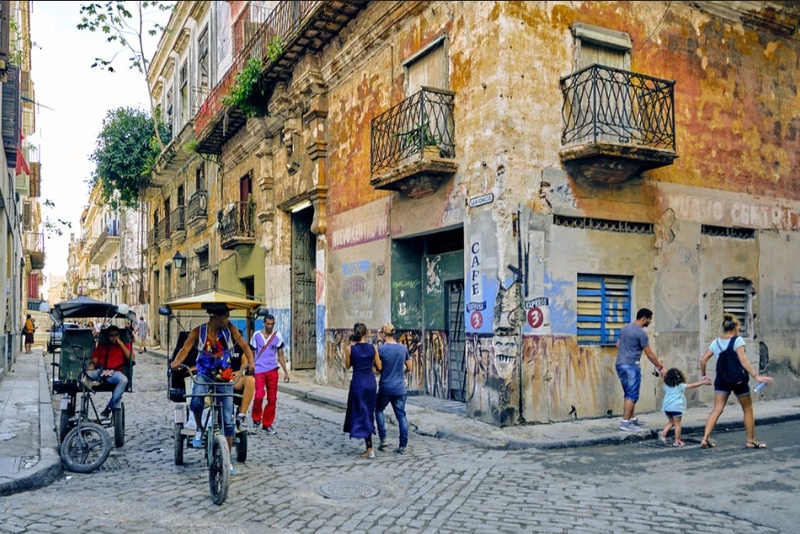 American Travelers have five legal requirements to visit Cuba…. This includes all children and infants. Passports need to have at least two blank pages for your entry and exit stamps and we highly recommend passport expiration dates be valid for at least 6 months beyond your return travel date. No worries – our team at Vacationkids handles all this paperwork for you. Please know all travelers, both adults and children, will require a travel license. All you have to do is to retain your travel records demonstrating compliance with this rules for at last five years as required by the U.S. Treasury. BUT BE WARNED…if you’re searching google and reading this article under the premise of planning your own family trip to Cuba, please beware! Rules evolve, regulations change, emergency medical care is completely different in Cuba compared to other destinations. DO NOT rely on internet journalists to interpret the rules for you. Use the services of a professional, experienced travel agent for this trip! In ADDITION to a U.S. license, all U.S. Citizens will require a Cuban Visa. (These are two completely separate entities and are legally required).This is Easy – Vacationkids can take care of this paperwork for you. Just know it will add @ $100 per person. You’ll need to present this pink card along with your valid passport. it’s important that everyone’s passport has at least 2 empty pages for entry and exit stamps. Once again, Vacationkids can help find your family the best rates and schedules.Many major U.S. airlines including JetBlue, Delta, American and United fly nonstop service to Havana, Cuba. Just know, in order to book your flights to Cuba, we’ll need everyone’s full passport details AND Everyone’s U.S. Travel Licenses (see step one). In Nov. 2017 Cuban Travel rules changed. There are certain businesses in Cuba that Americans are restricted from doing business with. Surprisingly this includes many hotels, resorts and their restaurants. Another reminder why it’s important to work with experienced travel professionals who can help you enjoy all the wonderful, amazing adventures Cuba has to offer while keeping you free of hassles. Every family has their own definition of the word “Adventure”. Some families may love the idea of exploring everything that Cuba promises but perhaps they need or prefer not to travel that far out of their own comfort zone. Perhaps one parent is a very intrepid world explorer while the other parent is far more cautious so a compromise needs to be made. Maybe you’ll be traveling with a family member who has food allergies or other special needs and require a bit more support. Travel is never “one size fits all”. Many of the family friendly cruise lines offer itinerary options with ports of call in Cuba. Cruise lines do offer onboard child care (fee) during port days. This is another great, worry free option for parents with younger children yearning some adult time to explore Cuba while knowing their little ones are having fun. Again, ALL passenger are required to follow certain legal obligations. 2. A U.S. Travel License – This is filled out as part of your embarkation documents and is required for any shore excursions. A family vacation to Cuba is one that should definitely be embraced. Cuba offers children an incredible insight into a preserved past while sparking insightful conversations and discussions. it’s culture, music, art, history and food is fascinating for all. Cuba is a gift to all that embrace it.